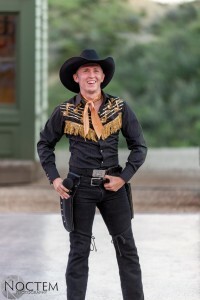 And then there are the extra events that shape our schedules: birthdays, visitors, changeover of feature acts, parades and other promotional events and fun evening traditions. My favorite evening event is having a campfire “at home” where we stay. It’s our way of relaxing on some nights after the show. Cast, Band and Crew come and go as they please. Conversation and stories and laughter ensue. I’m the campfire-girl and usually start the fires. I even keep charcoal and lighter fluid in my room! Klayton, Damon and Olivia will soon start college school work, by day, as they must miss the first few weeks of their fall semesters. 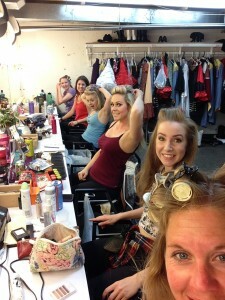 Kim and Candi keep us posted on wedding progress during our girl time in the dressing room. Many of us are planning our next move as year-round performers. 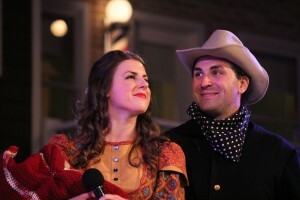 Some head to New York for auditions, others have contracts already for fall or Christmas shows across the country. Our band members and technicians have gigs and shows in their plans too. Part of our job is to constantly look for work. 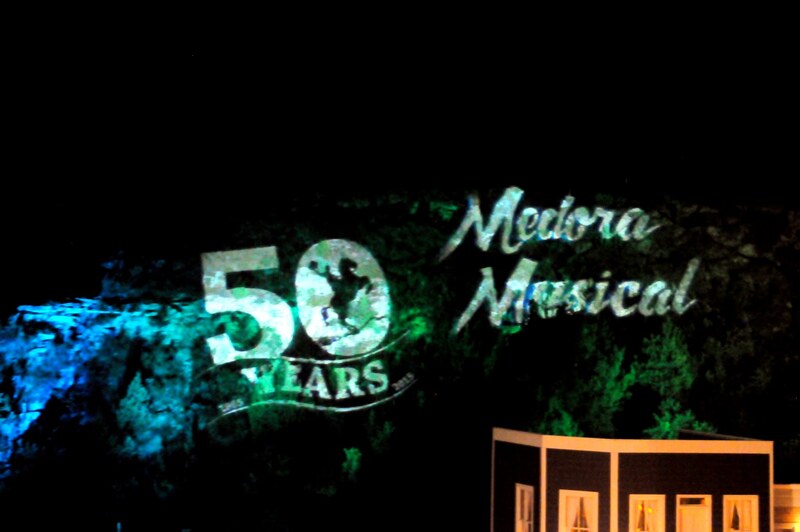 Things on the “Hill” start to get nostalgic, as we enter the final quarter of our 100 nights of the 2015 Medora Musical. Stage time has a new energy at this point, because we know the end is in sight and this very show will never happen in the future as it is today. 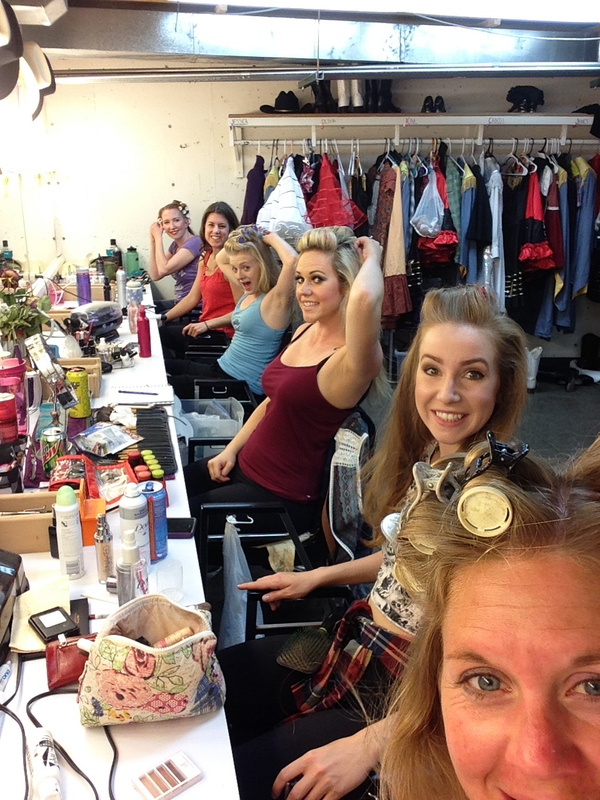 We laugh with each other on and off stage and look forward to favorite stage moments with each other! 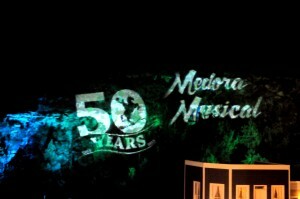 We’ve become a family… 100 nights plus an intense month of rehearsals prior: We are bound to know each other very well! Dear Misti…you have so much energy! We (Steve and I) love to watch you and enjoy your entertainment. 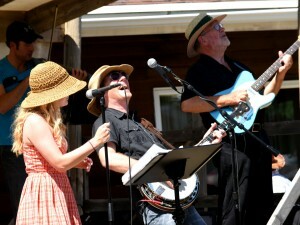 We caught you at the Chuck Wagon a week ago last Sunday and enjoyed it so much. 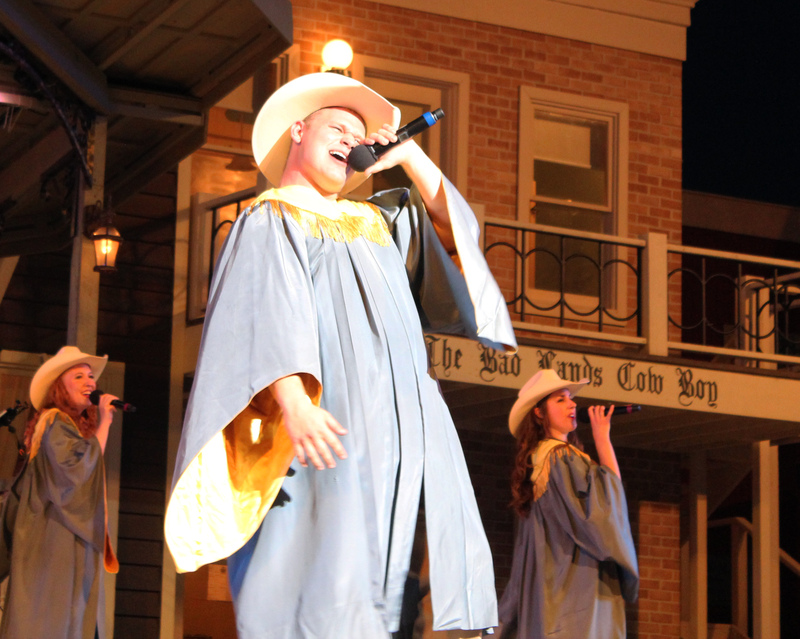 The Medora Musical is truly a highlight of the summer in our lives. Since we are not able to get very far from where we work and live in Richardton due to work commitments, we try to take in the Musical as many times during the summer as we can….thanks to season passes! Keep up the great work! 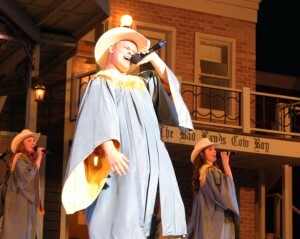 You and the cast do an amazing job on stage. Thanks for all your hard work and great entertainment.